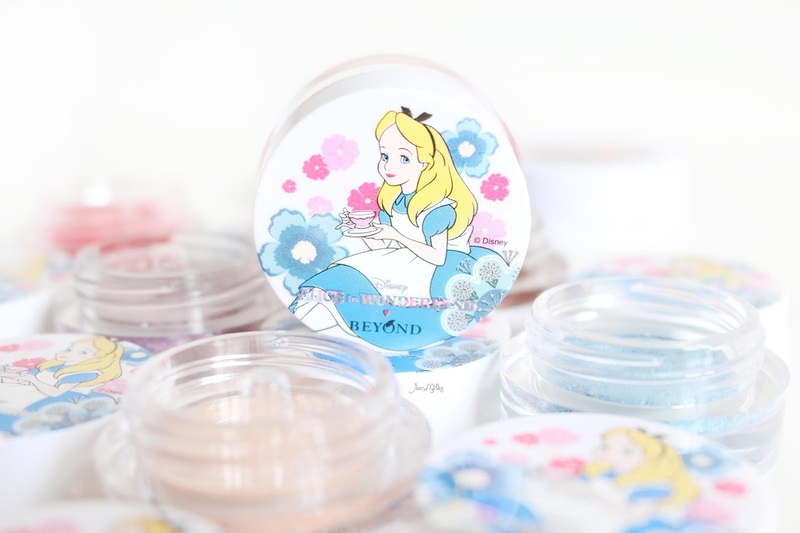 It's been quite some time since a great many makeup brands, especially Korean Brands, collaborated with well renowned animated character to boast cute and appealing packaging. Most of the times, such limited, cutely packaged, and immensely pocket munching collection aren't sold here in Indonesia. 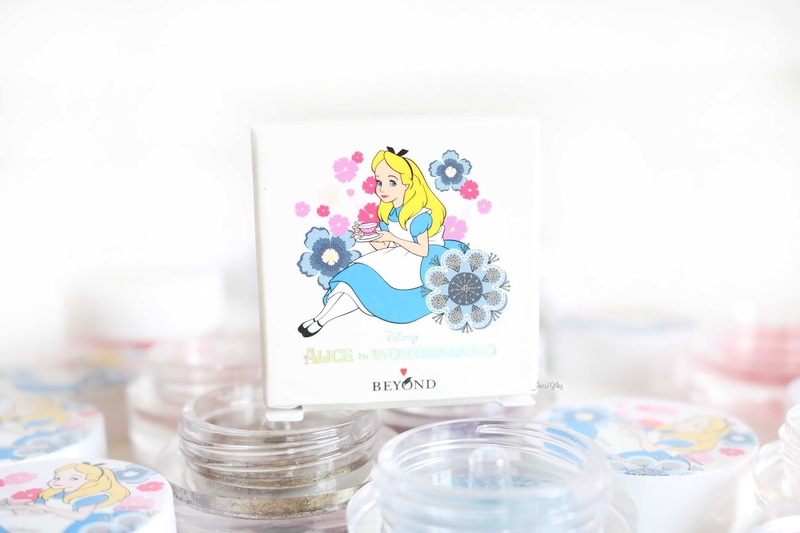 For this reason (among many others of course ^^ ), I was super excited when I heard that Beyond Indonesia finally launched their Alice in Wonderland collection. 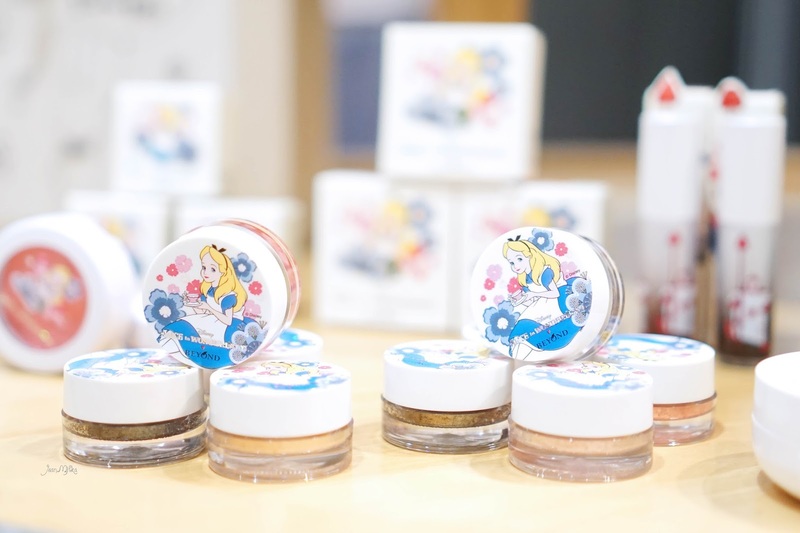 But the best part about the whole things, was that they invited me not only to become the spokes person during the launch, but also to demonstrate the Alice in Glow Makeup Collection. Because of that I had a chance to try out all the products from Beyond x Alice collection even before they launched them in the market. Because I'm totally addicted to eyeshadows, reviewing the cream eyeshadow first was the obvious thing to do. 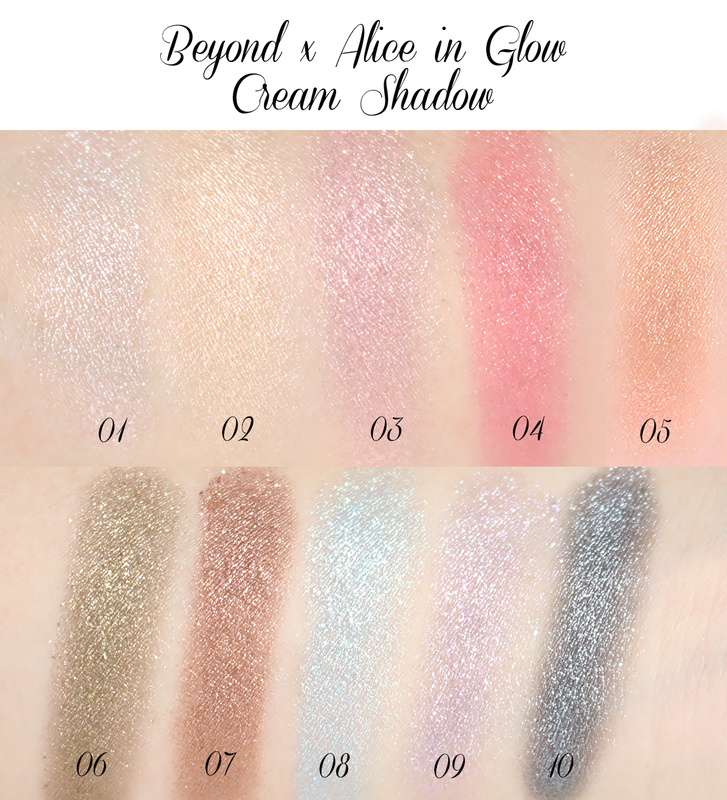 Beyond Alice in Glow Cream Shadow has 10 color selections. Let's scroll down to see my in-deep review of each color. There's not much tell about the packaging. It's Alice in Wonderland and it's just way too cute hahaha... I felt a wee bit disappointed when I discovered that all the cream shadow's color shared the same packaging design. It's kind of boring since the cushion along with the cream blush from this collection also shares the same design. There's just no way to quickly discern the colours by referring to the packaging alone. You'd have to take a peek from the bottom of the jar. The Packaging itself is a plastic jar with transparent second-cap inside to keep its contents from drying out. In addition, it also maintains the shape of the cream shadow. The texture of this product is unlike that regular cream shadow's. It's more likely a press powder. I don't feel any stickiness of cream texture. The best way to apply this shadow is by using your own fingers or a concealer brush. I tried to apply it with different types of brushes but the color turn out to be much more pigmented when I'm using finger as an applicator. I don't like applying makeup using hands tho, that's why I collect so many brushes. You'll notice an over-abundance of them if you watch my room tour video hehehe... That's the reason I won't be grabbing this product that often. 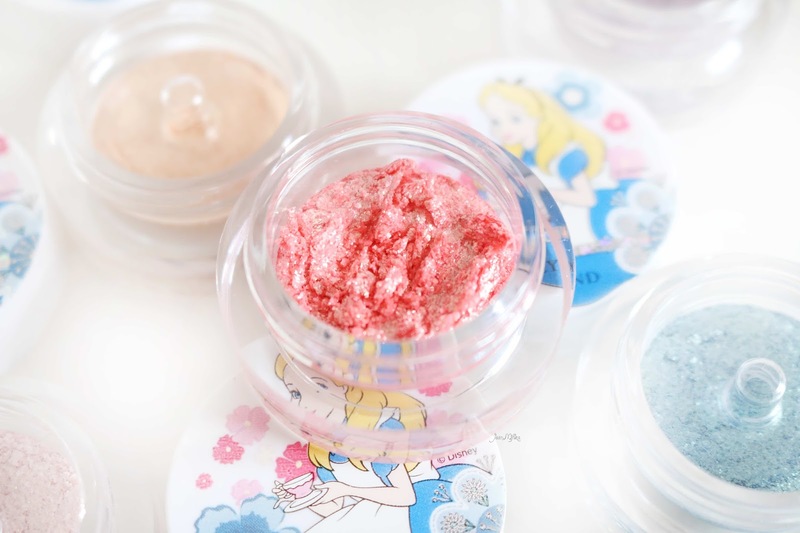 Beyond x Alice in Glow Cream Shadow comes in various colours. 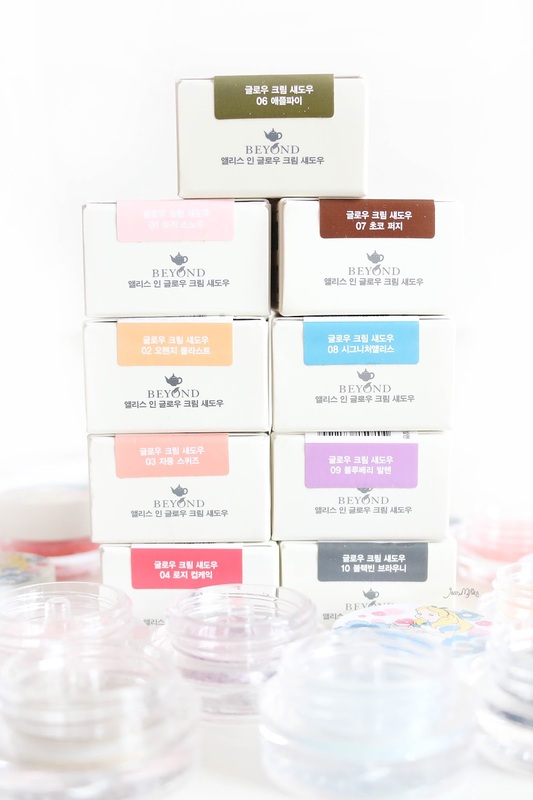 I appreciate Beyond not only for manufacturing this product in soft pink, champagne, and peach color, which is typical for Korean eyeshadows, but also in gold, copper and dark grey. 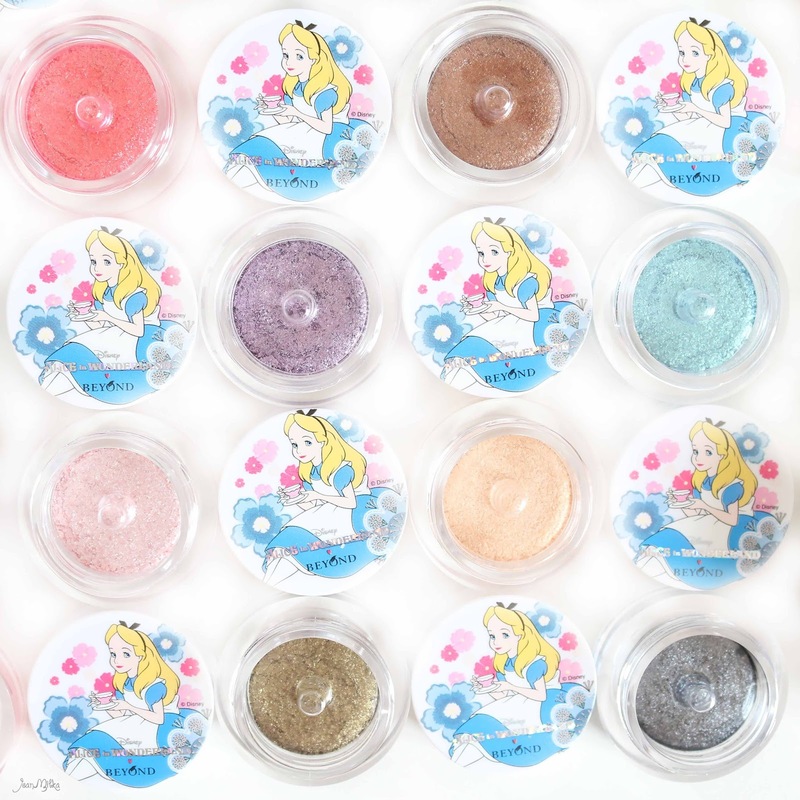 Among all the colours, my top 3 are : Signature Alice (08) which is a mermaid blue, Rosy Cupcake (04) which is a pinkish red, and Sugar Snow (01) which is a perfect pink with silver shimmer for the inner corner. The color is not as pigmented as the one showcased on the promotional posters and I needed 3-4 swipes to get colours as pigmented as my swatches picture bellow. Overall this product indeed have a cute and adorable packaging. However, the color pay off is regretfully, not as satisfying. It's quite hard to apply it to the eyes and get its best pigmentation. It's also quite difficult to layer more than 2 colours. For this reason, you're going to need other eyeshadows to go with it. Some of the colours can cause fall out which is not so flattering. I recommend this product for soft, natural, everyday makeup. Keep in mint that it's better to use it along with an eyeshadow base. This product maybe not be that great but for the price you pay, it serves you just right. 6 komentar on "Beyond x Alice in Glow Cream Shadow Collection Review & Swatch"
Btw, sebagian warna emang kurang keluar ya jean?? 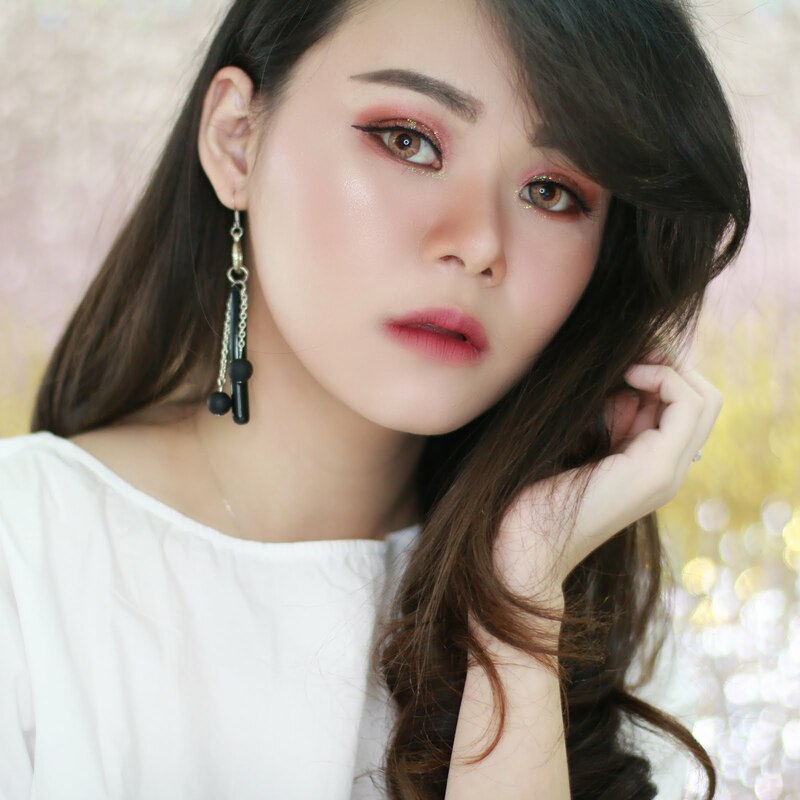 ho'oooh mengapa creamy shadow paling gampang apply-nya pakai jari ketimbang pakai brush..
Sbenarnya dibilang nggak keluar banget juga nggak. 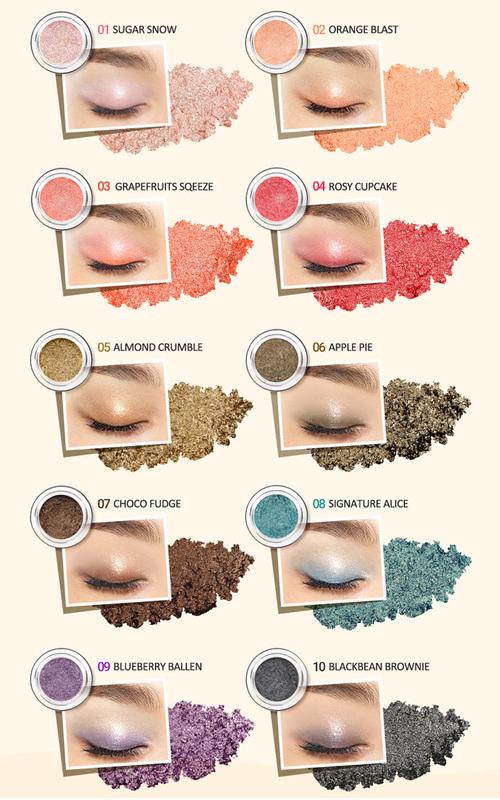 Standarnya makeup korea sich. Tpi dasarnya aku suka yang pigmented banget hehehe. 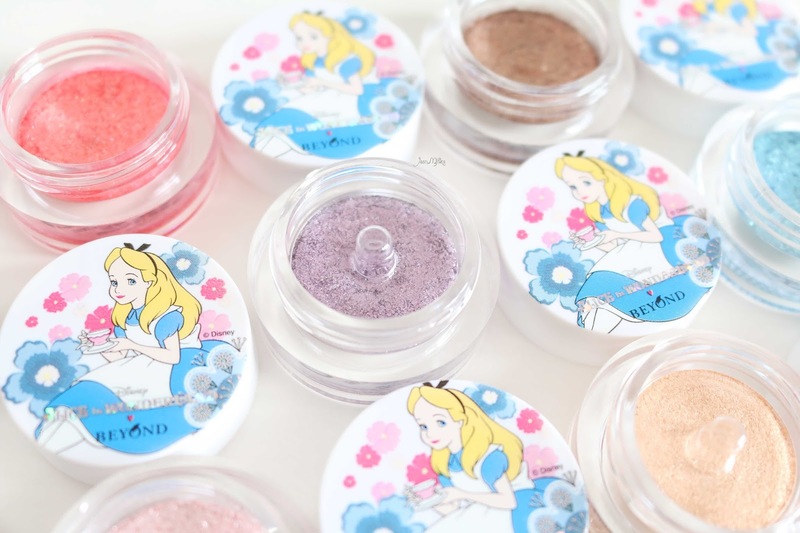 Probably like I love it more is the packaging because I am a huge fan of Alice in Wonderland. Cute colors even If are not much pigmented.